Our Team is a professional group of artists that are always striving to improve ourselves so we can bring you the best trends that are out there! We are always on the cutting-edge with our salon services and products. 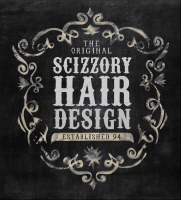 At the Scizzory, we will always take the time to listen to your needs and assure that they are met. Our goal is to establish a long relationship of trust and commitment. You come as our guest and you leave feeling like you are part of our family. We have a very warm environment and will greet you with a cup of tea, coffee or other beverage or your choice. We also have snacks if you choose. We want to you to feel like you are home. So come on in and let us pamper you! *We understand how important your hair and nails are to you and we work very hard to keep our prices affordable and our quality of service exceptional. All our staff are fully trained in the latest techniques and trends for men, women and children alike. "I graduated from Vici Capelli. I have been doing hair now for 17 years. I started at a salon on the East Side and then after a few years found The Scizzory to be my forever home. I absolutely love my job! I can not imagine doing anything else. I never feel like I go to work a day in my life. I get to work with amazing women and meet amazing guests! I love to learn about my guests and then build a relationship where I get to listen to their challenges in life, celebrations, family and all things in between. I love that I get to be that person that they feel comfortable talking to. Sometimes it is more than just a hair appointment it is an escape to just be you! My favorite thing to do has to be color! I love to do blondes, its my specialty! But any other color is just as fun. The transformation is why I do what I do. You can make someone feel incredible about themselves with just a little color. Mens cutting is also something that I love. Men want to look and feel good just like women but need a litttle guidance as to what would look good on them. I loke to take them out of their comfort zone to create a style that loos great on them! When I am not working I am doing anything I can with my 2 children. We love to explore! We are always outside in the summer kayaking, swimming, hiking, camping, etc. In the winter it's lots of snuggles, movies, snowball fights and other fun. I love all food!! Yup eating is another one of my passions lol!! I love to read when I can and get lost in a book and I love to garden." "In all my years, I have seen the industry grow and change a lot! From hair, to products, technology, to clients and lifestyles. It has been quite the ride! The industry just keeps on getting better and better and I make it my job to always bring you the best! I enjoy taking what you have and making you LOOK and FEEL fabulous! My favorite: doing color. The transformation from dull, lifeless hair, to Bright and Beautiful! The results are endless! My belief: I'm and artist whose work is always on display and that brings me the joy and love of what I do! About me: I love shopping, walks, family, fun, and traveling"
"I graduated from Vici Capelli. 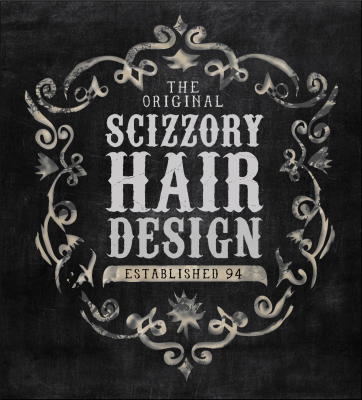 I started at their salon and then after a few years I wanted a change and that is when I found my Scizzory family 22 years ago. I love to cut hair! Giving someone a new and fresh look and then pairing that with a beautiful new color. Updos are something that I have always been good at. I love to see the smiles when you have someone that has never had their hair up and say "Oh that's so pretty". I love to cut and style children as well. They just put a smile on my face talking to them and as they sit in my chair and tell me silly stories. I love to make people feel good!! I love the feeling that I get when they love the work that I just did on them. I am always growing and learning so that I can keep making people love their hair. The indusrty is always changing and I just keep changing with it!" "I've been doing hair for over 8 years now. I am so glad that I found The Scizzory! I have met so many amazing clients here! My favorite thing to do is Specialty color or all around total transformation with hair. I love that I can look at your hair as see where is needs to be to express who you are. I often hear "I was told I can never do this but I love it", challenge accepted! I always let you know exactly how long it will take to get that look, the maintenance, and how to care for it through the process. Healthy hair is everything to me! When I am not at the salon you can find my outside planting in my garden or hanging with my cat Lola! I also love to shop and be with my friends and family! I love mexican food and I am definately a country girl!" "I have been doing hair for over 10 years now. My favorite thing about being a hairstyist is being a day maker. Uplifting a persons day and making them feel beautiful inside and out! I love that we get to meet so many people and listen to their stories. Being a hairstylist means much more to me than just doing someone's hair. There is nothing better than seeing them smile when they are looking at their style, cut or color. My true passion is updos, bridal hair and styling. Whether I am coloring, cutting, or just styling I absolutely love what I do and love being a hairstylist! My favorite food is anything Italian. I lvoe to read but I never have time with my 3 kids lol! I just love spending time with my family. I love arts and crafts and diy's. I love the beach and starry skies." "I graduated as a nail technician in 2017. The best part about being a nail tech is that I not only get to help people feel good about their nails but that I get to be artistic at the same time. Nail art and glitter are my FAVORITE!! I do almost all of my nail art free hand which really is a rare gift!! I love showing people that no matter what the length of your nails are they can be beautiful! If you love how it looks, do it, no matter your age. I only use the best products for your nails and I want you to have healthy nails. So I will always make sure that I do what is needed to accomplish that. I am very passionate about learning and am always taking classes to learn as many tips, tricks, techniques and styles as I can. You should never stop learning! When I am not doing nails I love to cook, bake, read, anything creative and spend time with my family!!"